Melting snowman cookies! 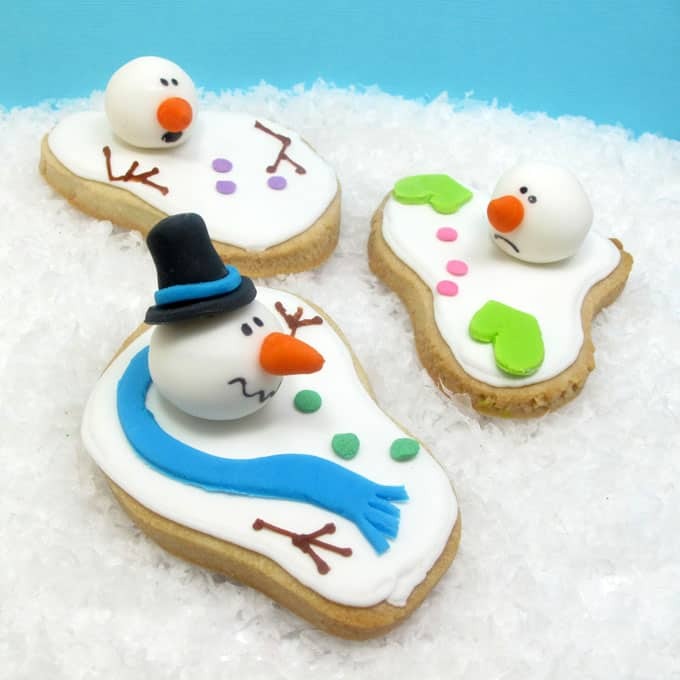 The ORIGINAL melted snowman cookies. 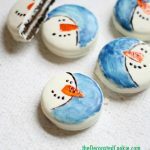 The ORIGINAL melting snowman cookies! That’s right. 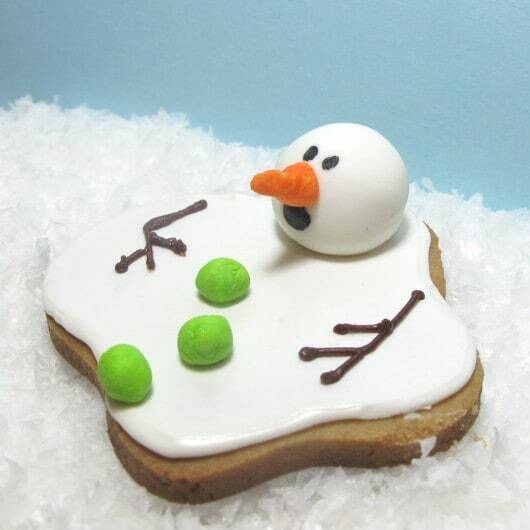 This is the very first version of the now-traditional Christmas cookie, created by me in 2008. 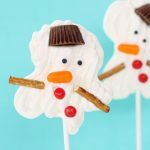 Need more melting snowman ideas? 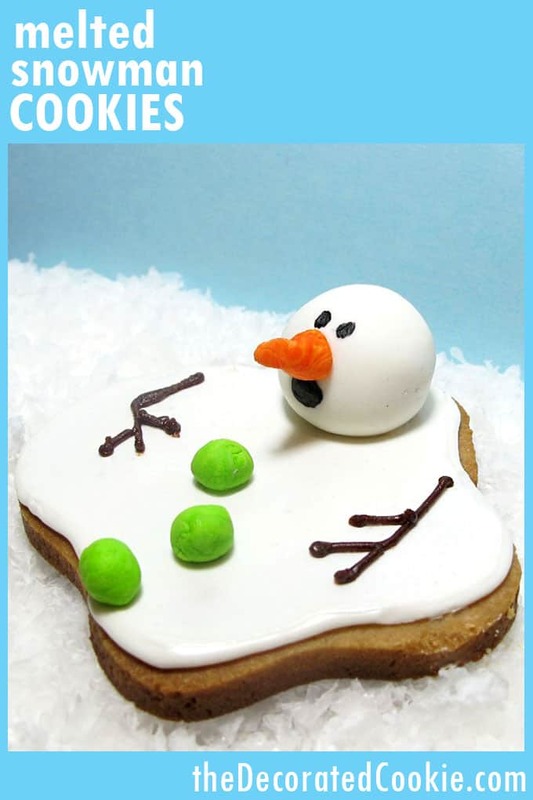 Check out this simplified version of the melted snowman cookies. 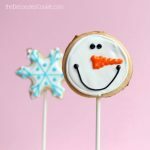 Or try these melting snowman candy pops. Or make melting snowman meringues. You can even paint melting snowman rocks. I’m melting, melting… Oh, poor snowman. If you don’t like the sentiment this expresses, you’ll see I’ve added the option of making your snowman smiley. That way, it will appear the snowman understands his inevitable demise and doesn’t mind so much the nature of things. You may also use a marshmallow instead of the fondant, if you wish. 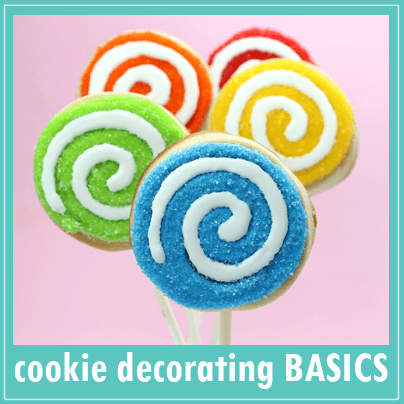 Find information on cookie decorating supplies and where to find them HERE. For basic cookie decorating instructions, click here. 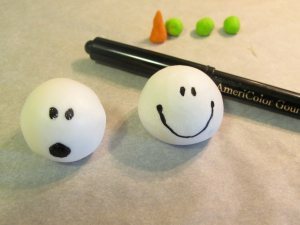 In place of the fondant, you can use a marshmallow for the snowman head (and draw the face and carrot nose with the food coloring pens). 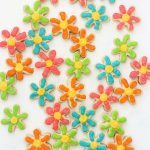 You may also use candies for the buttons instead of fondant. Roll out your dough and cut out a blob shape with a sharp knife. I drew my shape first on paper and cut around the paper. Don’t make the blob too big, about 4 inches. If the edges are rough from cutting, pat with your fingers to smooth. Bake on a parchment paper lined baking tray and let cool. Color some frosting with the Bright White gel paste and fill the bag with the 4 tip. Outline cookie with frosting and let set a good half hour. Take some frosting in a bowl, color white and add water, little by little, stirring until it’s syrupy. 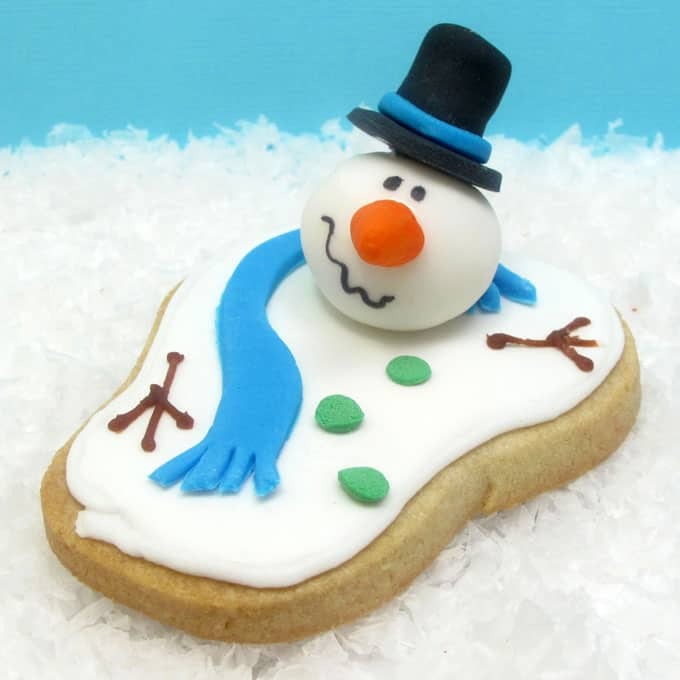 Pour the runny frosting onto the middle of the cookie and spread to the edges with a small spatula or butter knife. Let set til firm a good two hours, even longer if possible. Take a few teaspoons worth of fondant, knead (you can add a few drops of White coloring to brighten) and roll between your palms to form a sphere. If the fondant gets too sticky, let it sit for ten to fifteen minutes. Set on a piece of parchment or wax paper to harden for about an hour. Do the same with the carrot and buttons. Knead a small amount of fondant with the Orange color and form a triangle with your fingers. Set on the wax paper so the tip of the carrot points upward. 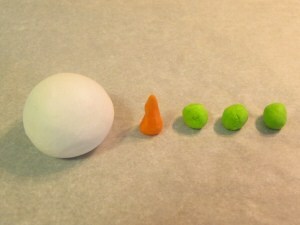 Knead any color into fondant and roll small spheres for your buttons. When the snowman head has dried til firm enough to write on, make your face with the black edible gourmet pen. Choose from smiley (happy about melting) to shock (not happy about melting). To adhere the fondant pieces to each other and to the cookie, dab your finger in light corn syrup and rub on the areas that will be adhered. Start with the head and press firmly but gently onto the blob. Next, attach the carrot to the face. Then the buttons. For the sticks, I used brown frosting in a bag fitted with a 2 tip and piped. But you can also just draw them on with a brown or black edible pen. Use sprinkles. I just used confetti sprinkles from the craft store for the buttons. What a wonderful idea! Brilliant!But you knew that already…..lolNice cookie humor. This is sooo cute! It is perfect for a Californian like me! too freaking (can I say freaking?) cute!!!! Absolutely freekin adorable!!!! I LOVE THIS!!!! I will definitely have to make some of these!! omgod that is soooo adorable! Wahaha! that cracks me up! I love it! I love it!!! 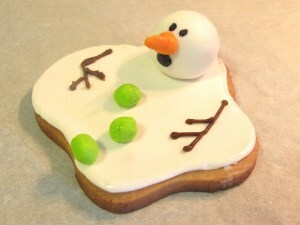 I remembered Calvin and Hobbes snowmen when I saw these cookies in your blog, it’s a great idea. Hilarious! I am going to have to try making these. My kids would laugh themselves silly. OMG, how adorably funny! I can just imagine my kids having fun making these. haha those are great! Could do the same for the wicked witch in Wizard of OZ. Very creative! 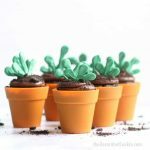 These are so absolutely adorable and creative. You know this idea will be stolen and reused in elementary school bake sales everywhere! oh my, this is the cutest cookie i have EVER seen! I am definitely bookmarking this page for future reference-so so cute! What a super creative and super cute idea, I love it! Thanks for allll your lovely comments! Mr. Melty seems to have struck a chord out there. Found you via food gawker. Your little guy’s adorable. And the novice baker/decorator appreciates the step-by-step instructions. This is the cutest thing – EVER. I had to call my mother in FL and made her go to foodgawker to show her. Cutest cookie I have EVER seen! What an imagination! 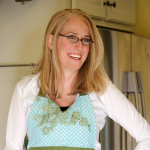 I’ll be checking your blog from now on – Thanks for sharing! Absolutely the cutest thing I ever saw in a cookie! Thanks so much for posting such great directions. 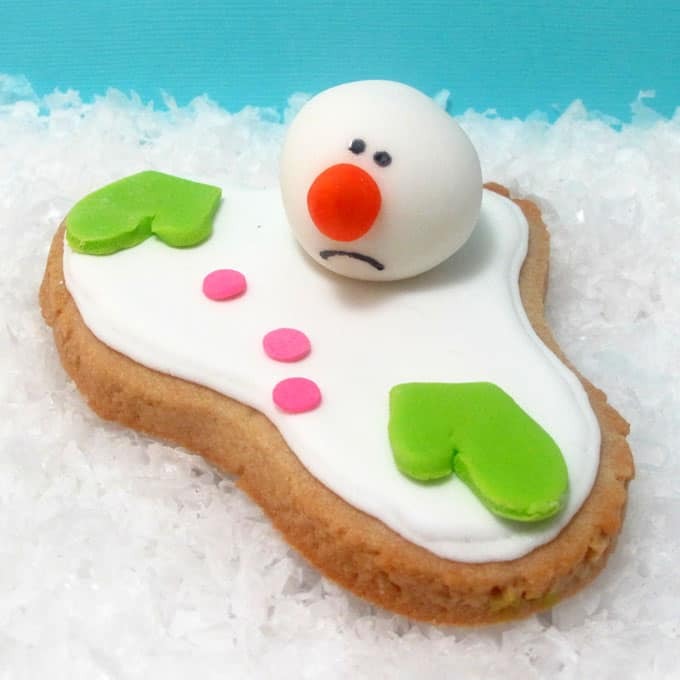 I’ve always wanted to make cute iced sugar cookies, but have never had any success. I made these and they turned out perfect! I will be checking back soon and rushing to buy your book! OH EM GEE!! My little town up here in Manitoba, Canada has had NO SNOW!! Can you believe that?! So when I saw these, I was like, NO WAY, these are perfect cookies for me! Thanks! 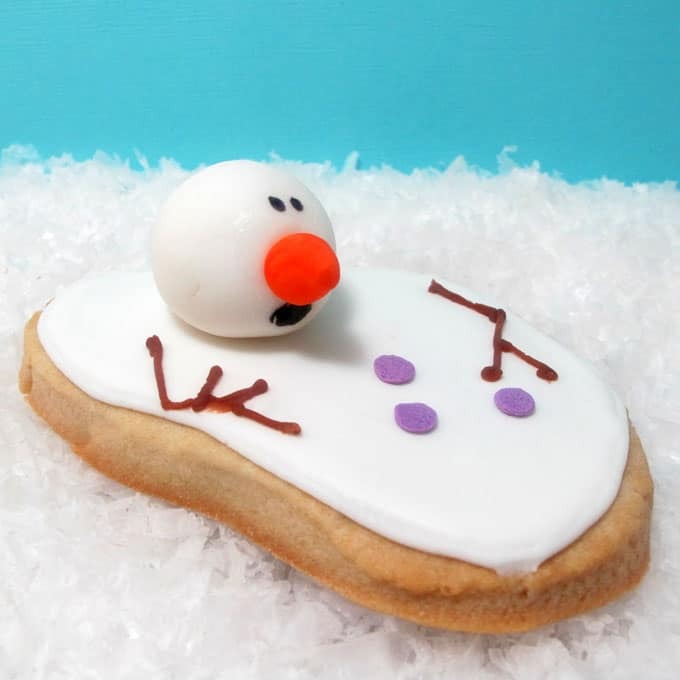 The melting snowman…pure cookie genius. Although my kids would insist upon making it a witch and making it in my likeness(just a coincidence, mom, really), the snowman stole my heart! I wish you could have won some sort of financial applause. At least you know you’re a cookie genius. I love this cookie with all my heart!! I realize it is supposed to be a Christmas cookie but I am tempted to try it just before the temperatures reach triple digits… again… here in Arizona. Just adorable! I Love your cookie idea and Lucky for you I saw it first here from you so the credit Is All yours from my point of view! =o) Happy Creating and don’t give it up from one stolen idea! YOU are brilliant and creative! No one can take that away from you! awwwww, thank you Chelsea! And wise words! Aw, thank you so much Monique! I shouldn’t be surprised they started with you! Thanks for another great idea! I “found” the idea and made them last Christmas for the church party. They are soo cute! I found little plastic black top hats at Hobby Lobby 40% off that fit mine PERFECTLY and were tooooo adorable. Wish I could post a pic here! Thank you Lynette!! ANOTHER reason I so wish I had a Hobby Lobby near me!! This is the most creative cookies I’ve ever seen. I love Mr. Melty. Can’t wait to make them. 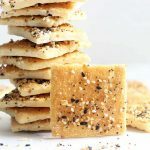 I know they will be a huge hit no matter where I bring them for the holidays. They actually make me smile to see them. Thank you for sharing, a truly BRILLANT IDEA!!!! Spotted: Melty snowman look alike found on page 22 of Rachael Ray’s Dec 2012 Magazine. I saw it and thought of YOU (and how I love the idea). Seriously Victoria! The melty snowman is taking over the world! 🙂 Wish I got paid for it…. or credit, wait, one more :). Hey, isn’ there are way to copyright stuff…kinda like intellectual property??? I know, hard to prove or prosecute. As I tell my boys (when a younger sibling copies their ideas), take it as a compliment–which I am sure you do. But, I agree: it would be nice to have a little silver to jingle in your pocket and a little pat on the back. Too bad RR magazine didn’t at least gave you kuddos (though she might have stolen it from another melty imposter). Your ideas are great! My recreations don’t look as good (that is why I sit here and you sit there). Keep up the great work! These are awesome, you totally deserve credit! And, you should get royalties, or something! At least a very Merry Christmas? I’ll post on pinterest to spread your talent! 🙂 Thank you Heather!! Yes, royalties! Millions! Seriously, this is one of my favorite cookies ever and I hate that people don’t give you credit for it. I was in Target today and saw that they had a kit to make them…please tell me some of that comes your way….it better or I’ll park myself in front of the rest of them and show people your website!!!! Thank you so much Karen! I’m afraid you’ll have to stake out the Target… Nope, I get zippo from that, but I did hear about it. I’ve yet to see it in a store, I might cry! Clever idea…my nephews wold love making this! Adorable! I hope you’re getting the credit you deserve now. I found pictures of melted snowman cookies on Pinterest and simply had to see where they originated. Google is a fabulous thing, as it brought me here. These are adorable. 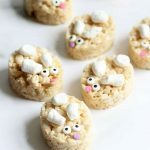 (I did re-pin the picture on Pinterest that used marshmallows for the heads, but added the link to your site in the description.) Thank you for sharing! This was the first cookie I seen on pinerest and I fell in love! I thought I have to learn to do this! Im still working on it! Thank you for your awesome imagination on cookies yew Rawk! Loved the photo and you are right, it is everywhere!!! I knew there was a tutorial somewhere finally found you. I understand your frustration completely! 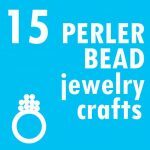 Making them today and thanks for sharing. Love these! Thanks for coming up with it! I found something similar on Pinterest, but the recipe used a marshmallow for the head. Nothing against marshmallows but I really don’t care for them. 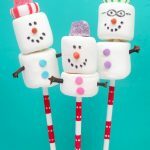 Started a search for a substitute for the head of the snowman and happened upon a picture and link to your website. I don’t usually comment, but after reading your story had to tell you-The Original Mr. Melty-is the best looking cookie of the bunch. Sorry it went viral with the knock off and no credit to you. ….remember, imitation is the finest form of flattery… but still…. thank you thank you I have sent for your book I hope the directions for the snow person is in it. I love your ideas I will give you credit when I give them away as gifts. Thank you so much Sue! The melting snow man is not in the book, but lots of other things are, I promise. 🙂 These cookies will last up to a week (if kept in a sealed container.) I do freeze decorated cookies with great success, but I would freeze only the bottoms of these, not the heads (that sounds like an odd thing to say!). To freeze cookies, I put them in freezer ziplocs. To thaw, remove the ziplocs from the freezer and keep at room temp until totally thawed, THEN remove them from the bags. Thank you so much for this lovely idea. Made them for my little son’s birthday party. Everybody loved them! Oh, I’m so glad, thank you Angelika!! Thanks! Yours are by far the best and most beautiful. I made these for a school bake sale and they were very popular. Thanks so much Shena! And so glad they helped your school, too!